With 7 kids, Casey and I always struggle at the beach. Yeah, we have 7 little helpers, but they are still...little, and they are always so excited it's hard to get them to carry anything, so unfortunately the majority of stuff gets carried by Casey (she is just stronger than me). We went to the beach a couple of weeks ago, for the first time this summer, and took our umbrella. We both complained about how hard it was to get the umbrella to stay up, and when it finally did, a gust of wind came and knocked it straight over! We ended up taking the umbrella down and giving up on it for the day. The next day, I heard about BeachBub and knew I had to give it a try! BeachBub Umbrella stand is made to be used above the sand, so no more digging or screwing your pole in trying to get a good solid base. 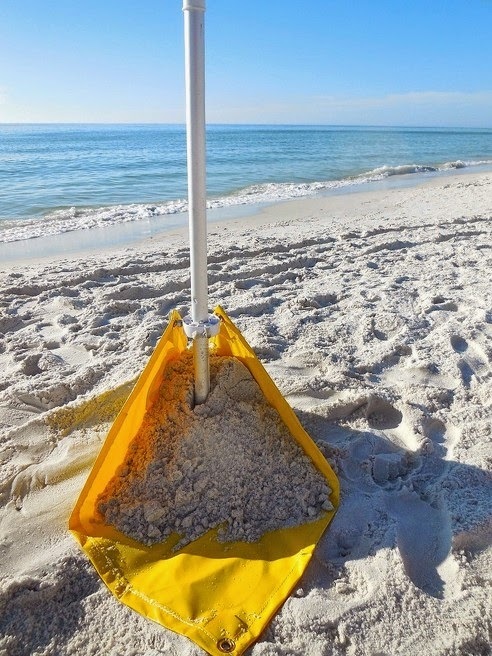 You simply lay the beachBub on the ground, and the kids can even help add the sand to the top! 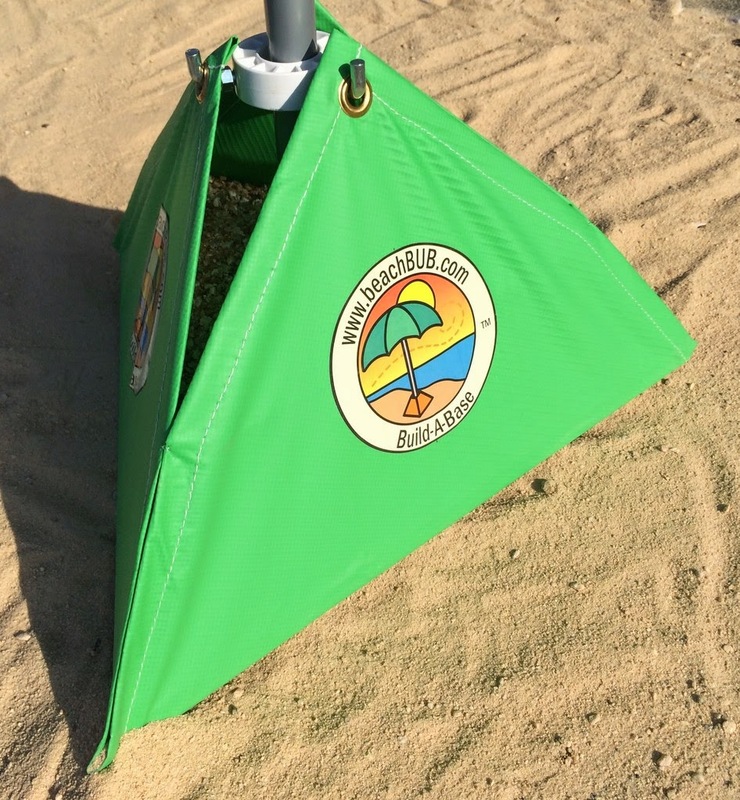 Once the sand has been piled on the top of the beachBub, you grab all 4 corners and fold them up and slip the umbrella through all 4 circles. Your umbrella now will stay in place all day! Your beachBUB® has been windtested at 42 MPH. Eliminate the hard-to-dig hole or difficult twist screw and use the sand on the beach to BUILD-A-BASE™ for your beach umbrella. Completely fill your beachBUB® to help reduce fly-away umbrellas. beachBUB™ provides lateral stability and uplift support. See for yourself how amazing beachBUB™ works! Best of all the beachBub is just $19.99! !